I appreciate the cultural shift that’s happening with gaming. I know that as an English teacher, I was expected to be shaking my finger at kids who want to “rot their mind” with all those TV shows and games. I was supposed to be pushing them to read books instead. And you know what? I love reading. I taught English for three years and I’m now in my first year as a librarian and there is nothing more exciting to me than connecting a student with a book. But I don’t think gaming is a hindrance to what English teachers and librarians are promoting. 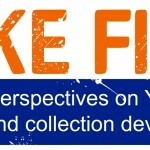 Promote discussions about grammar and dialogue with my students. Not just for the sake of the boring but sometimes necessary worksheets about prepositions or comma placement, but to talk about dialogue and idioms and why we think we talk normal but somebody on the other side of the country talks funny. Try to get kids out their respective “cultural boxes.” Maybe help them see that a kid growing up in a different culture and/or country is not all that different than them. Talk to kids about character development and plot. Connect story to things going on in current events. These are all things that can happen with students and the games they play. Gaming studios are investing more and more money into the teams building their games. Writing for video games is an actual job that people have and they’re doing an increasingly good job as the years go on. Here’s a list of games that show exceptional craft when it comes to storytelling. Bioshock: Infinite is the most recent title in the series and it’s in much the same vein although this time the world is set in a dystopian city in the clouds. The story is unraveled in much the same way as the first. You learn tidbits as you go that reveal information about characters and your mission. The twist at the end wasn’t as wrenching as when I played the first game, but that was probably because I expected it from the series at that point. It was still ridiculously fulfilling. Mass Effect: This game is basically an interactive choose-your-own adventure novel set in space. The choices you make will define the story you experience throughout the course of three games. Granted, the choices aren’t geared toward completely changing the playthrough, but they can still affect the fate of your teammates and how your character handles different missions. 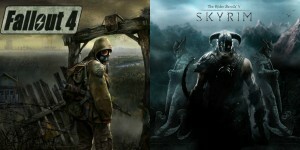 The Elder Scrolls and Fallout: Bethesda makes both of these games. Skyrim is a fantasy first-person game where you can fight bandits and dark wizards and, in the most recent game, dragons. The game has many role-playing elements and typically has a main quest with countless hours of side quests. Fallout’s gameplay is in the same vein but the story is set in a post-apocalyptic future after nuclear war. 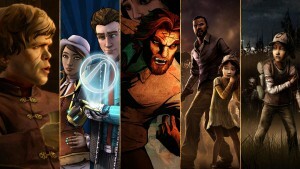 Telltale’s The Walking Dead, The Wolf Among Us, and Game of Thrones: These games are often first released on mobile devices and are tied into their respective series. 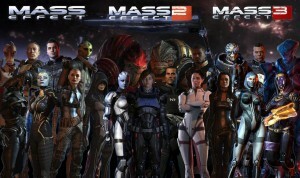 Much like Mass Effect, they require players to invest in certain characters and make decisions that can affect character development as well as the outcome of the story itself. These are just a few examples of games that, in my opinion, are pushing the evolution of gaming. Hopefully that evolution translates to the way teachers look at their gamer students and how they can reach those kids. Because I think there’s something to be said for being able to talk about the decisions you made in the Telltale Walking Dead games and perhaps connect that with Jonathan Maberry’s phenomenal Rot and Ruin series. Who says you can’t then make the jump to survival stories like “The Most Dangerous Game” or any story by Jack London? When it comes to promoting student engagement, it’s all about discovering their interests and finding a way to then make connections with what you want to teach them. Or the books you want them to read. I started out as a high school English teacher and taught for three years in southern Missouri before moving to the northern part of the state and becoming a high school librarian. 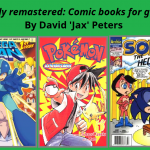 I love reading, playing video games, and connecting students with good books. I'm also particularly fond of the Kansas City Royals. I loved the first Bioshock, but I haven’t regained enough courage to play 2 or Infinite yet. I had to play Bioshock with the lights on and at least one roommate around at all times. I also really love Skyrim, although I haven’t played any of the Fallout games yet. I’ve tried most of the games on this list at some point – it just usually takes a couple tries to make a game stick. Another game that I love with good storytelling is Ni No Kuni, a PS3 collaboration by Level 5 and Studio Ghibli. That one kept me entranced for hours! The second Bioshock was sort of disappointing but I felt like I needed to beat it. I loved Infinite so much. I understand having to play the game with the lights on, though. There were a lot of crazy moments in that game. 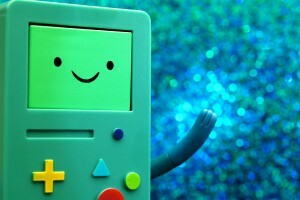 I’ll have to check out Ni No Kuni. Thanks for the recommendation! I’m a huge fan of the Dragon Age series. They have the same choose your-own-adventure/change-the-fate-of-your-party that Mass Effect does, but with DRAGONS. That, and I’ve gotten very attached to several romance options. There isn’t as much story telling because of the silent protagonist, but Legend of Zelda always has a rich world. And of course I love many of the Final Fantasy games. The Tales series (Tales of Vesperia, Tales of Symphonia, etc) are also a huge hit with me. They have beautiful art, quirky characters and all sorts of side quests. After, I finish Dragon Age: Inquisition, I’m either playing the newest Tales or trying Assassin’s Creed, which attracted me for story despite the difficulty I have with action games. I could write a 10,000 word think-piece on my love of “Legend of Zelda.” I actually think the storytelling is especially strong there BECAUSE of the silent protagonist. The most effervescent example of “showing, not telling.” :) Actually, now I kind of want to sit down and crush about ten hours of “Windwaker”…..